I could hardly believe it. Flowers? On our Mischobulbum? My first impulse was to seize the label to check the date of acquisition. Little Mischobulbum sp. 20071376 has labored for eight long years to produce this delicate inflorescence. Congratulations, little plant. Grateful as I am for the flowers, it seems to me that ninety-nine percent of this orchid's coolness resides in the vegetative part of the plant -the terete pseudobulbs, like chubby green fingers, and the heart shaped leaves. 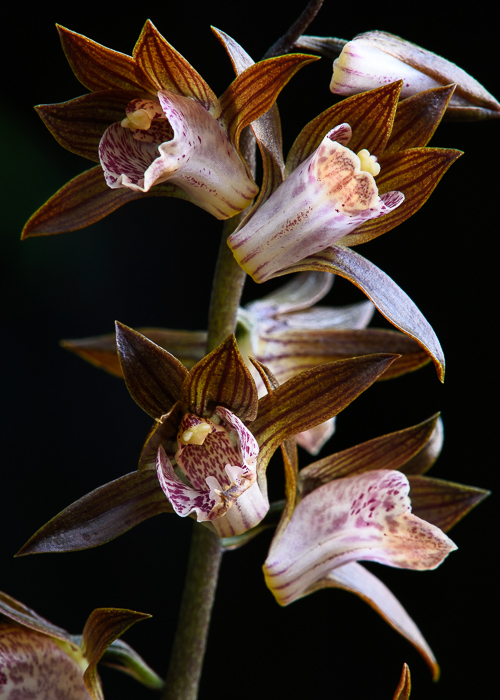 No other orchid in our collection looks remotely like this. Mischobulbum is not a universally accepted genus. Some authors fold it into the Asiatic genus Tainia. Mischobulbum species are terrestrial, with creeping rhizomes and terete pseudobulbs of one internode, spaced between one and three centimeters apart. A single cordate leaf emerges near the top of the pseudobulb. 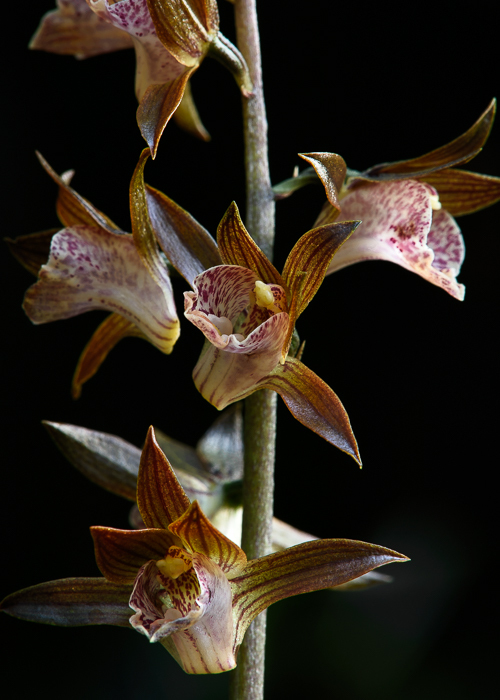 There are eight species from Thailand, peninsular Malaysia, Borneo and Sumatra. 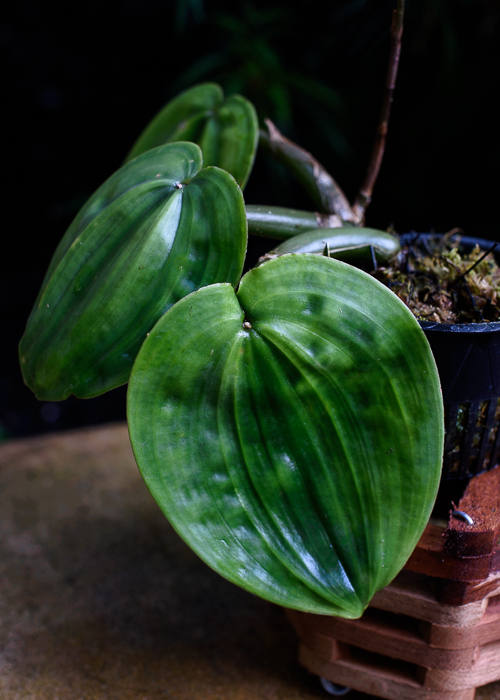 They are not common in cultivation, so this is a prized plant in our collection.